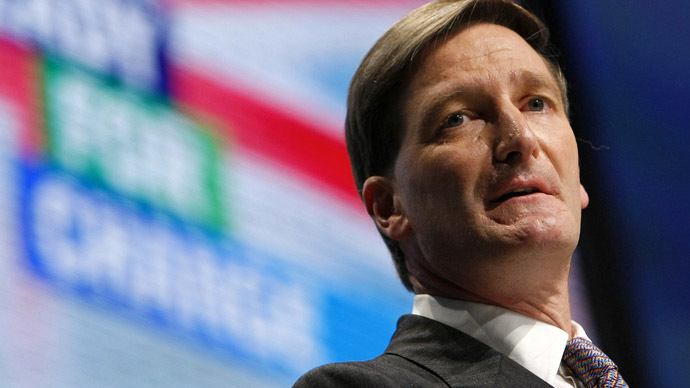 If the UK decides to leave the European Union, 2 million Britons working abroad could become illegal immigrants overnight, former Attorney General Dominic Grieve has warned. “The requirements of any free trade agreement would make British removal from the clauses dealing with freedom of movement impossible, with the curious consequence that the single biggest cause of domestic irritation with the EU, immigration, would remain unaltered,” he told the Guardian. The government estimates around 1.8 million Britons live in other EU countries, more than half of them in Spain. As freedom of movement is one of the core principles of the EU agreement, both immigrants in Britain and British citizens living abroad in other EU nations are able to travel, live and work in any of the 28-member states without visa restrictions. Immigration and Britain’s role within the EU are big issues ahead of May’s general election. Prime Minister David Cameron has promised to hold an in/out referendum on the EU if he wins a Conservative majority. Grieve, who left the office of attorney general after a cabinet reshuffle in July 2014, said a clear concept and plan of what a ‘Brexit’ (British exit) would mean for the UK was missing – whether certain EU principles could be incorporated or retained in British law while others could be abandoned. “There is ... a total lack of clarity as to how a government would proceed to unravel a relationship that has developed in complexity over more than 40 years,” he said. He said a possible Brexit would impact Britain’s relationship with nations both in the EU and beyond. “We are an outward-facing nation with a global language, a global cultural, educational and legal reach, with deep ties all over the world and with one in 10 of our citizens living permanently overseas. British expats concerned about the UK leaving the EU have set up online groups to discuss the possible impact a departure would have on them, including the Facebook page ‘UK Citizens in the EU – The impact of a Brexit’.